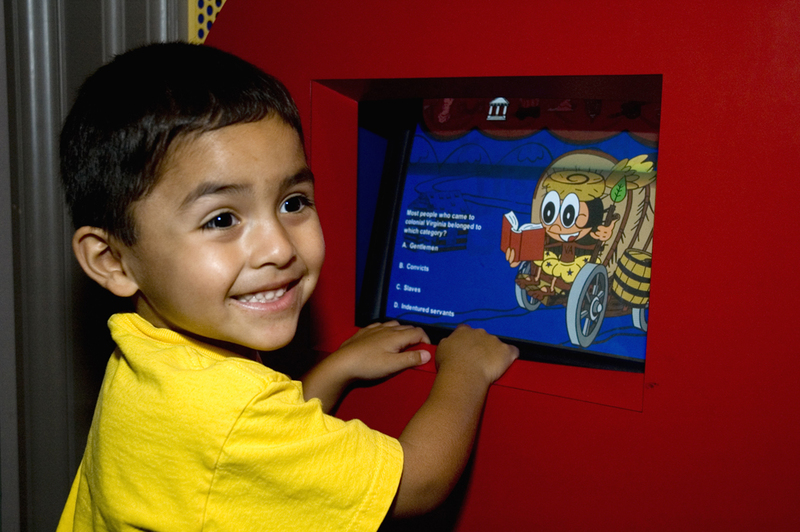 This young visitor enjoyed the history quiz in “The Story of Virginia” exhibition at the 2007 VHS Open House. Many people in Central Virginia know what the Virginia Historical Society (VHS) is and the many programs we offer. 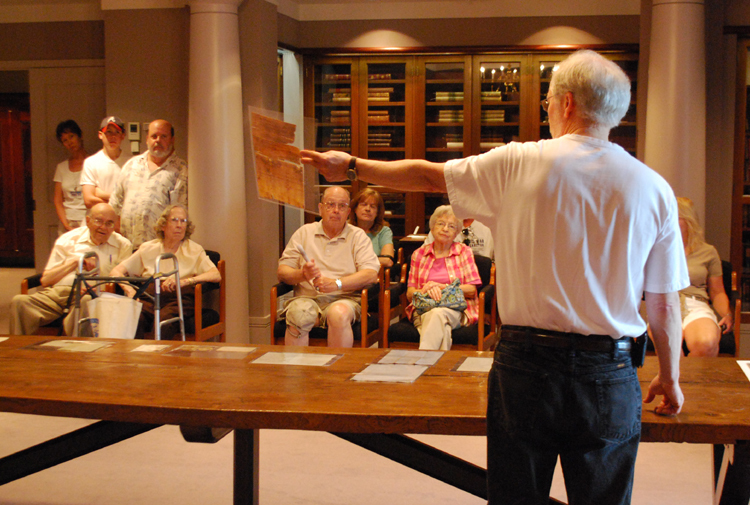 Thousands in the Richmond area have visited the museum to see the interesting items on display in the galleries or frequented the research library to explore the materials in our collection. But there are still large numbers of residents who we haven’t interacted with yet. Richmond Discoveries showed visitors various aspects of Civil War home and battle front life at the 2011 VHS Open House. I have to admit, before I started working at the VHS more than five years ago, I had never visited. I didn’t know that the VHS is an awesome history museum, open seven days a week (with extended hours on Tuesdays and Fridays until 8:00 p.m.), and free. I had no idea that the VHS has George Washington’s diary from the first year he was president, a button from Pocahontas’s outfit, Patrick Henry’s eyeglasses, the largest collection of Robert E. Lee–related material anywhere, the first cookbook published in America, and so much more. Why is it that there are so many people out there like me—people who have lived in the Richmond area their whole life and have never visited the VHS? Is it that they have never heard of it? Probably for some of them. Is it that they don’t know what the VHS is or what it has? Again, yes that’s probably true for some. Is it that they haven’t made the time? I imagine that this is the largest group of non-visitors. In 2009, the VHS Open House theme was related to Vietnam War history to correspond to three exhibitions on display that summer. 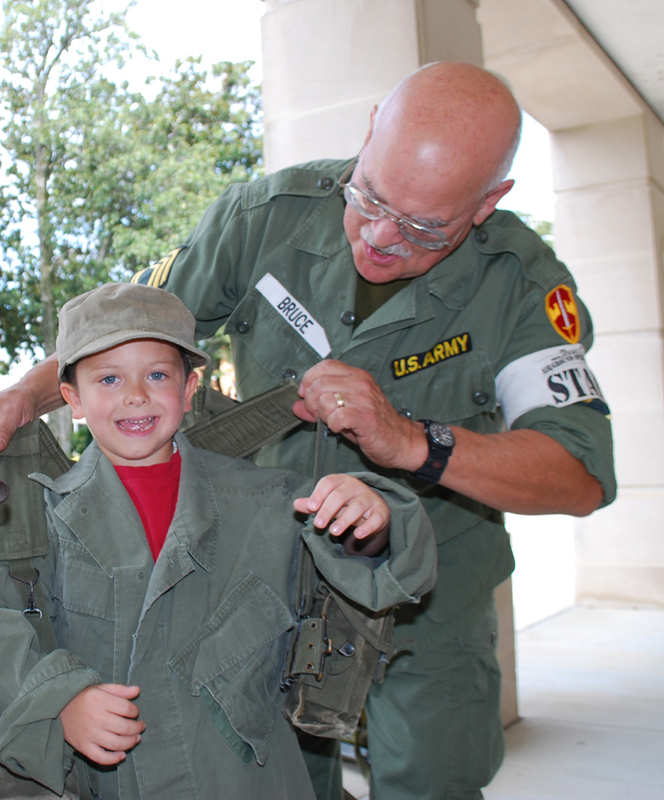 Visitors tried on uniforms and equipment from the Vietnam War era and explored vehicles used during the conflict. People are busy. Believe me when I say that I completely understand. The VHS is in competition for a few hours of your time. Many hours each day are reserved for important and necessary activities like working, going to the grocery store, making dinner for the kids, sleeping, etc. Only a few hours remain for doing fun activities. So, I am asking you to give us just a few of those “fun” hours and let the VHS give you the opportunity to make lasting memories. There is no better time to visit than on Saturday, July 21, from 10:00 a.m. to 5:00 p.m., during the Virginia Historical Society’s Free Family Day Open House. The Open House features a day full of games, historical demonstrations, children’s crafts and activities, music, trivia contests, scavenger hunts, behind the scenes tours, and much more. And the best part is admission and all activities are free! This year the VHS Museum Shop is hosting a huge book sale. For one day only, more than 4,000 gently used books will be sold at deeply discounted prices. Donated by our supporters, the selection includes hard and soft cover fiction and nonfiction books related to history. 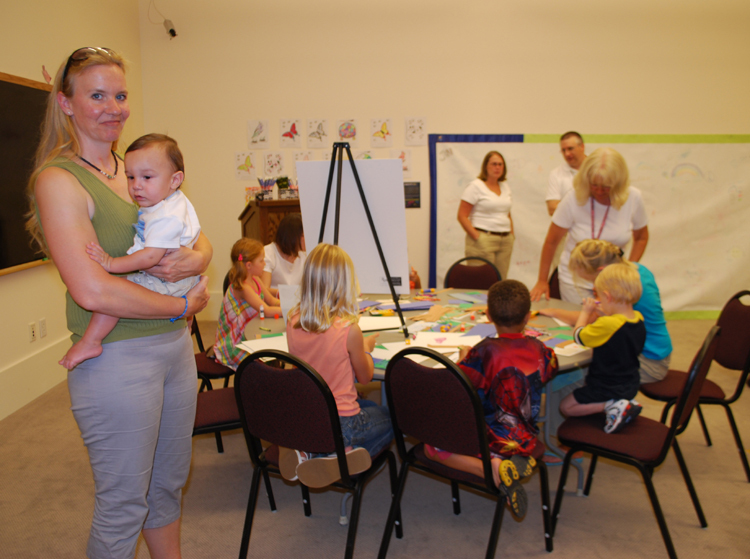 Children’s crafts and activities are popular at every VHS Open House. If you haven’t been to the VHS before (and even if you have), the Open House gives you a great opportunity to see all of the exhibitions currently on display. VHS staff are in the building all day to answer questions about the various objects featured in the museum galleries. If you’ve ever wanted to get the curator’s perspective on an exhibit, this is the time. VHS staff will also be doing educational demonstrations with replica artifacts including animal pelts, reproduction tools from Powhatan society, household goods from the Colonial period, supplies used by pioneers moving westward, toys from around the time of the Civil War, and musical instruments used by African Americans in the 18th and 19th centuries. There will also be craft activities for young visitors, such as women’s suffrage paper dolls, Henry “Box” Brown boxes, coloring sheets, and word searches. Behind the scenes tours offer visitors the chance to explore items not on display in the VHS museum. VHS historians will be offering visitors the opportunity to explore secret and locked spaces at the museum. Behind the scenes tours will offer an up close and personal glimpse at items recently pulled from the oldest part of the society’s stone building. The materials were buried in the cornerstone in 1912 and just recently discovered and uncovered in late April (see this blog for more information). 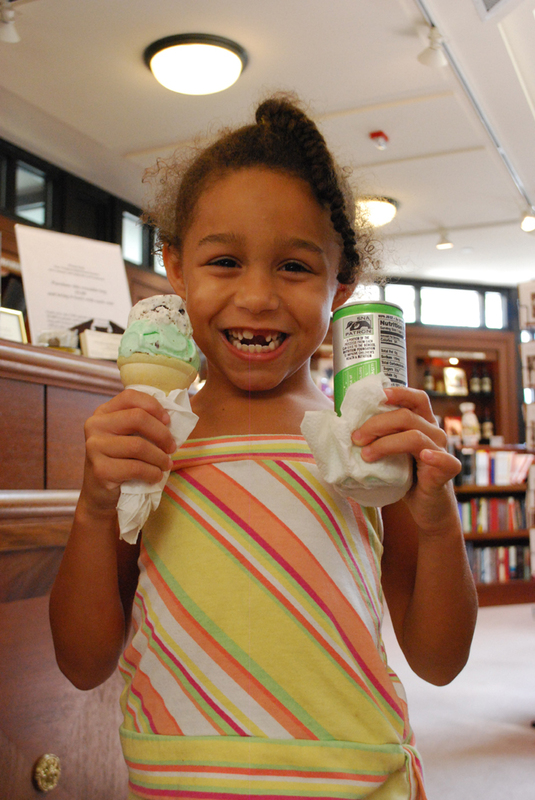 This visitor at the 2010 VHS Open House enjoyed ice cream and cold Virginia-made soda on a hot day. The VHS paper conservation lab will be open that day for special tours. Visitors will see what fragile and damaged items the conservators are currently cleaning and preserving. And the Richmond Conservation Studio staff will be working on cleaning the Hoffbauer Civil War murals that day. If you haven’t seen the dramatic difference the cleaning has made on those massive pieces of art, that alone is worth a visit on July 21st. Historians are also pulling out some special collection pieces, including items related to the Titanic, Woodrow Wilson’s presidential campaign, and James A. Kline and the cars he manufactured in Richmond in the early part of the 20th century. 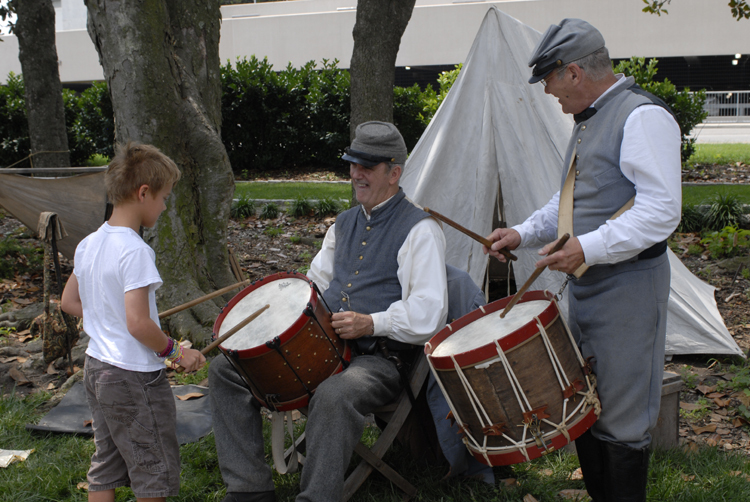 Richmond Discoveries will be demonstrating life on the Civil War battle front and home front. Costumed interpreters will be available throughout the day to interact with visitors and talk about Richmond during the Civil War. The VHS Open House is a great way to make lasting memories with family and friends. And the ever-popular Richmond food trucks will be parked on the front lawn to serve lunch items, ice cream, and coffee drinks. As you can see from the pictures from past open houses, visitors of all ages love the activities the VHS offers during the event. But, I think more than that, visitors appreciate and remember what an interesting, educational, and enjoyable time they had at the VHS. 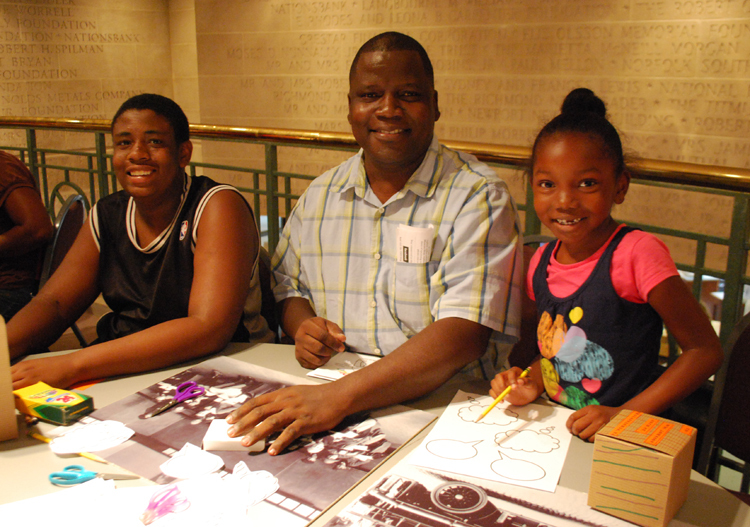 I hope to see you on Saturday, July 21, at the Virginia Historical Society Free Family Day Open House. Invite friends, family, neighbors, and coworkers along with you to make lasting memories.